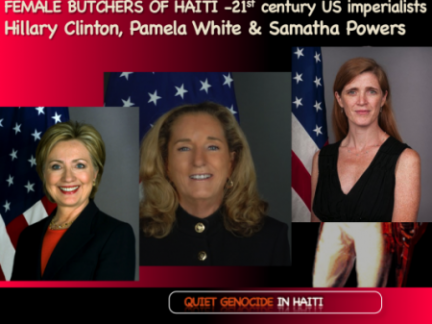 Vote #28 and help free Haiti, end the US occupation of Haiti behind fake elections, the foul UN humanitarian front and Paul Farmer’s poverty pimping NGOs! 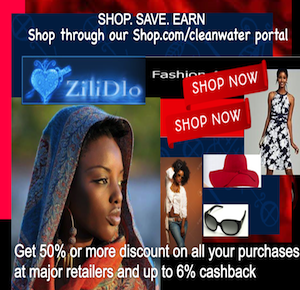 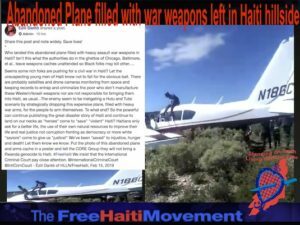 Stop the resource pillage in Haiti. 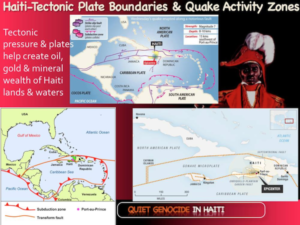 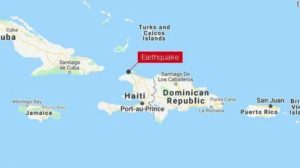 Haiti gold, oil, iridium, offshore islands should elevate the living standards of Haitians, not Hillary and Bill Clinton’s brothers. 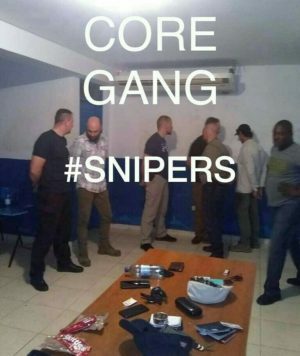 Moise Jean Charles ak Èzili Dantò ap Defann NOU! 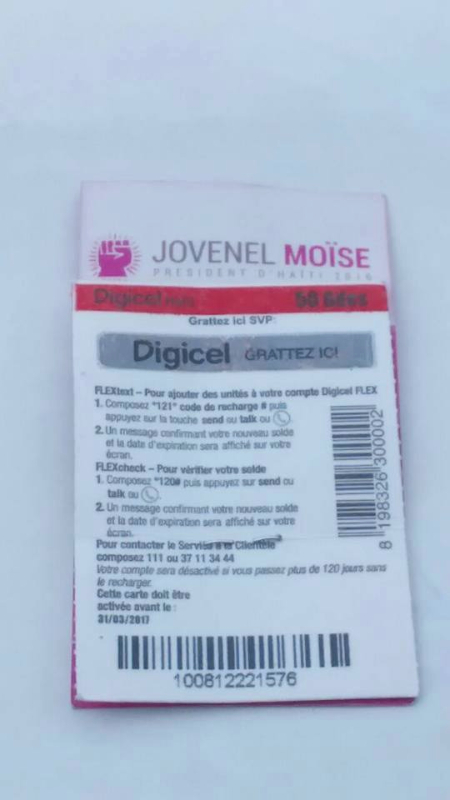 Begin to drain the Core Group/USAID/Kenneth Merten-Sola/Bigio-Digicel SWAMP on November 20, 2016 with a vote #28 for Moise Jean Charles! 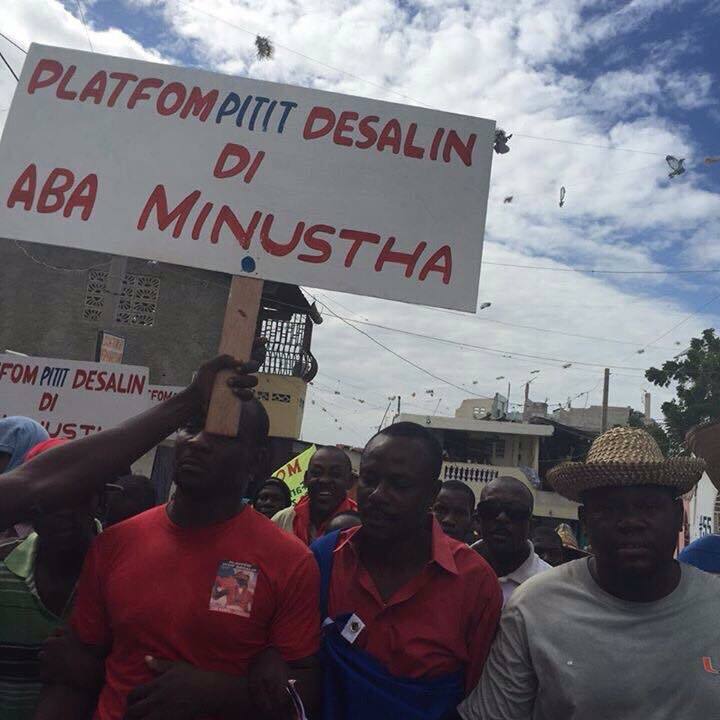 #FreeHaiti says: NO2Sola-Clinton-Bigio-Digicel selection on Nov. 20,2016. 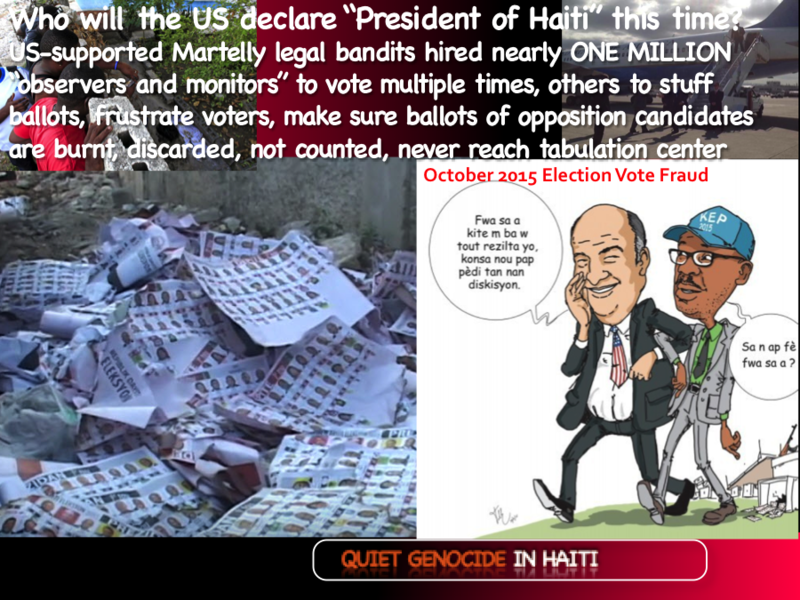 Free & fair elections w/out Miami Herald, Reuters and the AP Duopoly swamp covering up for the corrupt Merten-Honore colonists in Haiti. 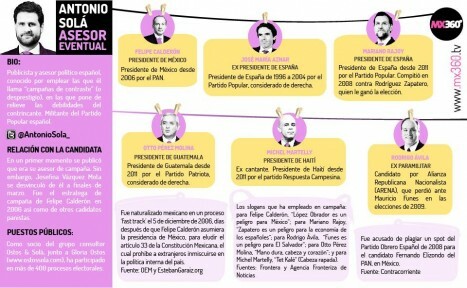 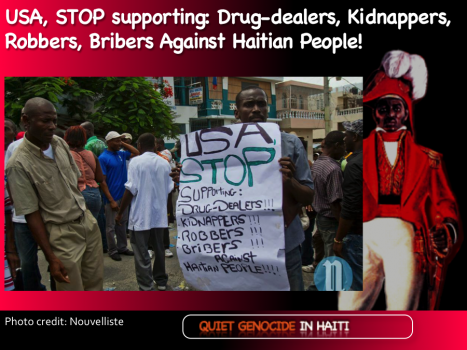 Haiti riches are the economic reasons these foreigners interfere in the internal affairs of Haiti to bring human subjugation and exploitation. 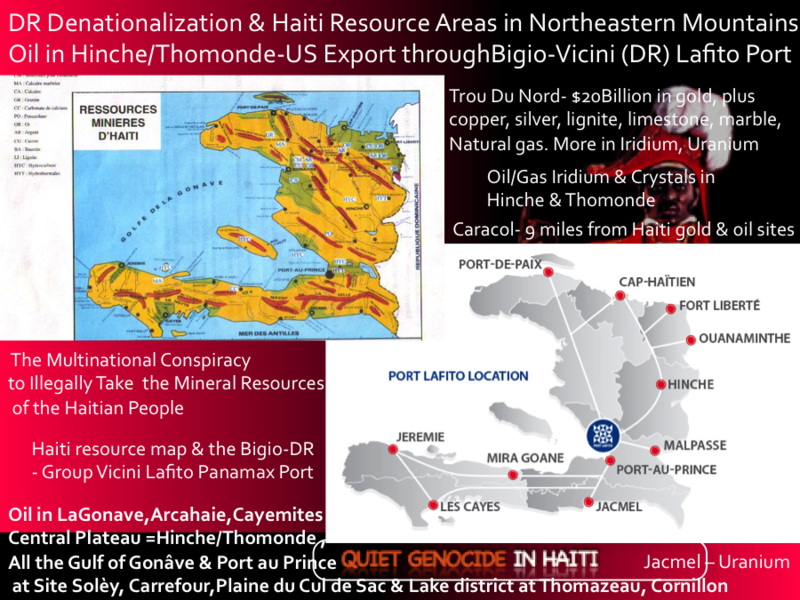 Its billions in gold, the Digicel cell phone and mobile money monopoly, Bigio’s Port Lafito transshipment privatized ports and borders, the vast Haiti oil and gas and the illegal Michel Martelly decrees giving lands, offshore islands and unconstitutional mining permits to Clinton Foundation extraction companies and donors. 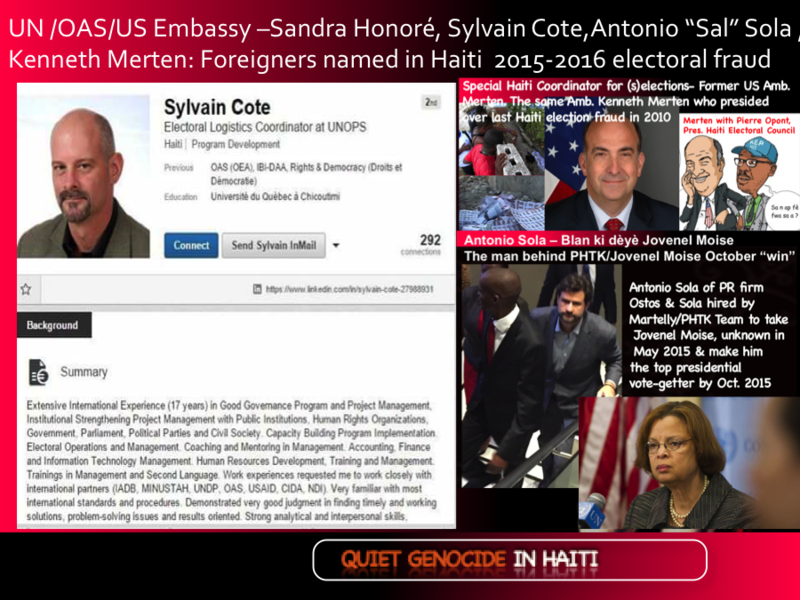 This is why Gilbert Bigio, the wealthiest beneficiary of colonialism and corporate welfare in Haiti, along with big Clinton Foundation donors such as the telecommunication giant, Digicel; the extraction companies like Newmont Mining; as well as the Antonia Sola campaign “fixers”; the UN and Obama’s Haiti coordinator, Kenneth Merten and his Haiti ambassador, Peter Mulrean, all, are so desperate to doctor up the November 20, 2016 elections in favor of the Martelly replica, Jovenel Moise. 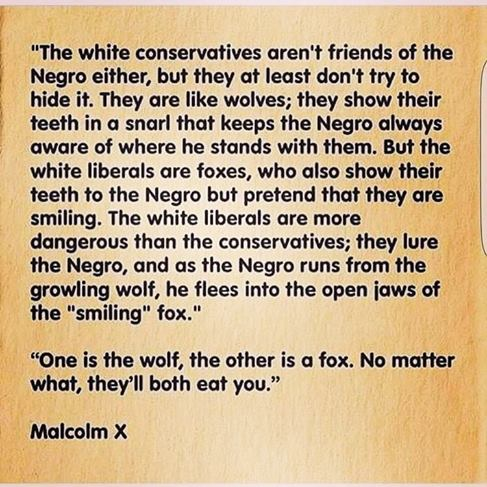 But they’ve been caught red handed. 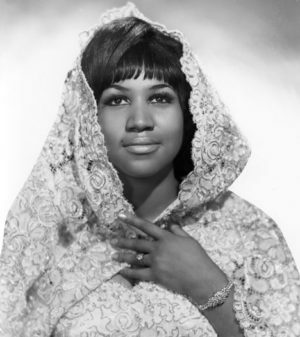 2016 is not 2010 or 2015. 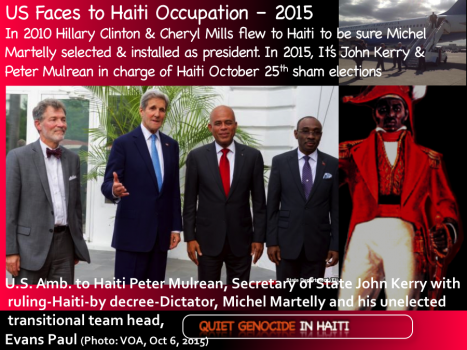 The whole purpose for Haiti re-running the elections from 2015 again was to remove foreign influence from them. 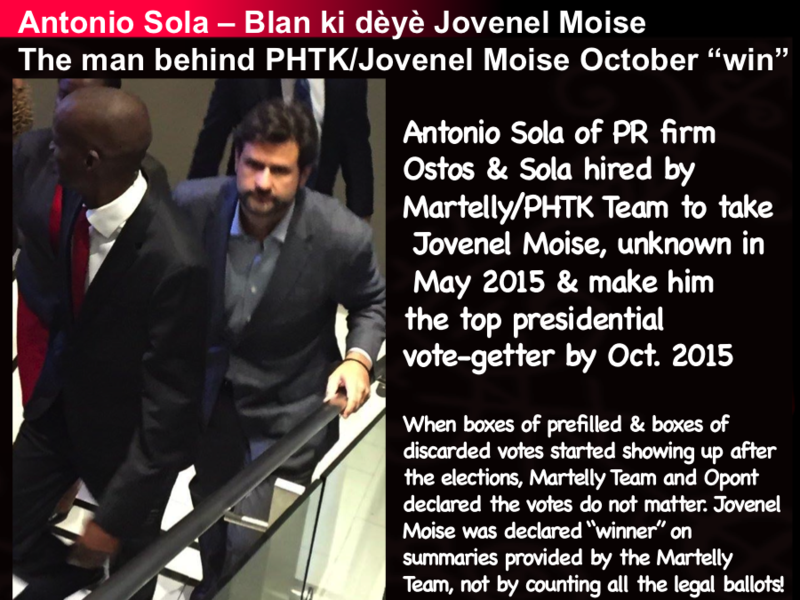 Yet, early reports from the top three candidates – Moise Jean Charles, Jude Celestin and Maryse Narcisse – facing off PHTK’s Jovenel Moise, is that the colonial attempt to steal the Haiti elections again was worst on November 20, 2016 than in October 2015! 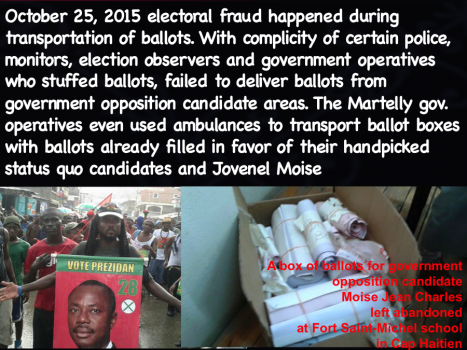 Voter lists were not signed by two election officials as required and there are complaints from the three top candidates that the ballots casts were by people not on the voter registration lists. 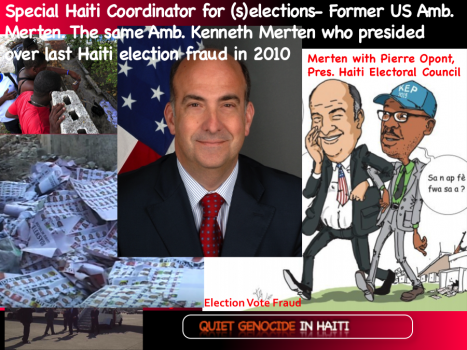 US election scam with Kenneth Merten and Pierre Louis Opont, same election fraud, five years later… Cartoonish. 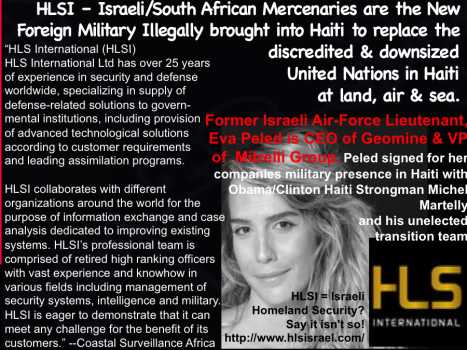 “Obama…carried forward many of Bush’s policies. 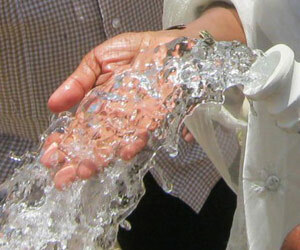 In December of 2009, Obama escalated the war in Afghanistan, sending 30,000 extra troops to the war-torn nation. 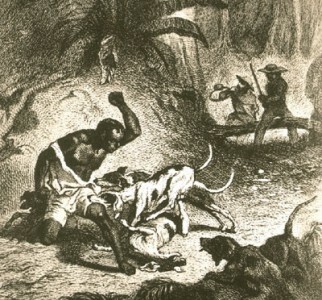 Today, the war continues, with no end in sight. 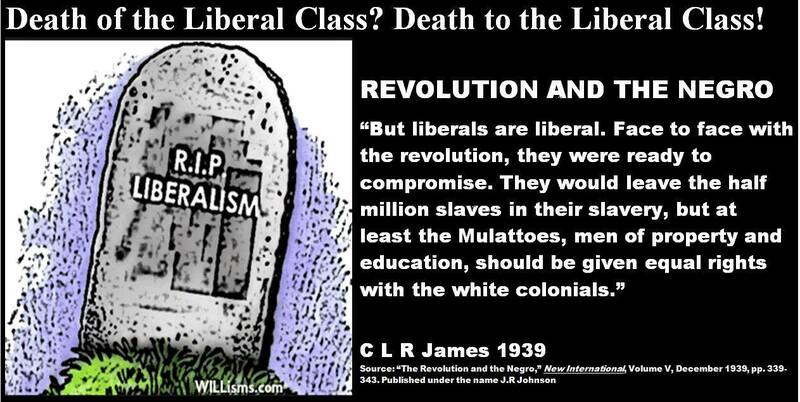 Marcus Garvey on the white Liberals of Leftists.